Following up on his commitment to reopen Istrouma High School and make it a centerpiece for the North Baton Rouge community, Supt. Warren Drake has authorized a design team to complete plans for a $20 million renovation of the school. The design is supposed to be complete later this month and let out for bids. If all goes as planned, bids will be opened in July, 25 days after the school board asks for bids. Construction will begin in August with completion of the project planned for July 2017. Istrouma High School would then reopen in August 2017, which also marks the 100th anniversary of the founding of the historic school located on Winbourne Avenue. In February, Drake appointed the Istrouma Advisory Committee, headed by former school board member Dr. Jackie Mims, to advise him on many of the issues involved in reopening the school. The committee, which is made up almost entirely of Istrouma alumni from the 1950’s to the 1990’s, started their work with a tour of the school in March. They found a facility that was still fundamentally sound but that was badly neglected and facing some significant deterioration. Professionals who inspected the buildings said a major renovation would be necessary in order to preserve the buildings and make them suitable for occupancy. At first, the cost was estimated at $10 to $15 million but further inspection increased that number to more than $20 million. •Istrouma High School, an academic school that will serve students in the Istrouma attendance zone (which coincides with the school’s traditional attendance zone). The area is bounded on the south by Choctaw Drive, on the west by Scenic Highway, and on the north and east by Airline Highway. Students in this area currently attend Belaire, Tara, Woodlawn, and a number of other schools across the parish. After Istrouma reopens, most of these students will attend Istrouma High School. •Istrouma Middle Magnet, a parishwide magnet school. This school currently exists as Brookstown Middle Magnet. It will move to the Istrouma campus and be renamed Istrouma Middle Magnet. Brookstown Middle Magnet is currently on the same campus as Brookstown Middle School, which is not a magnet school. Brookstown Middle School will continue as an academic school at its current location. It will be a feeder school for Istrouma High. Students from across the parish who attend Istrouma Middle Magnet will have the option of attending a magnet high school or staying on the Istrouma campus and attending Istrouma High or Istrouma Science and Technology Career Academy. One of the draws for students to stay on the Istrouma campus for high school will be sports. If approved, Istrouma will participate in all major sports with students from Istrouma High and Istrouma Science and Technology Career Academy competing as one team. However, this is still in the discussion stages and has not been worked out or approved. Pow Wow to Kick Off Year-Long Effort to Launch Istrouma. The Istrouma Advisory Committee is planning a year-long effort to promote the launch of the new school beginning with a Barbecue Pow Wow on the school campus from 1 to 6 p.m. on Saturday, July 23 at the Istrouma football field. The themes will be Igniting Excitement and Imagine Istrouma. To keep up with Istrouma activities, go to http://www.ebrschools.org/istrouma. For information on the committee, call Jackie Mims at 936-8553. The committee is planning to walk every neighborhood in the Istrouma attendance zone and provide information on the school. The committee is working to secure all of the trophies, yearbooks, mementos, computers, and other valuables at Istrouma during the construction period. 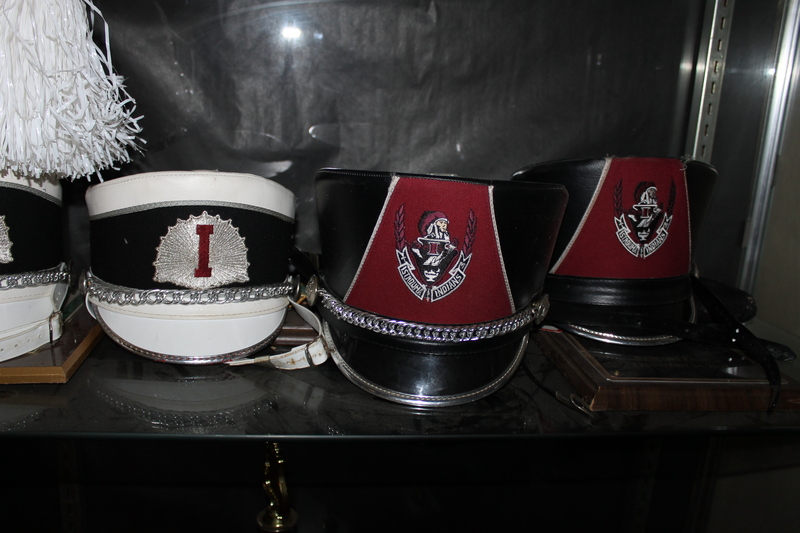 At its June meeting, the committee voted to keep Istrouma’s traditional school colors. 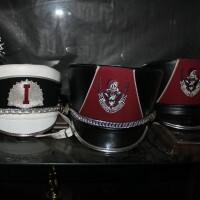 Since the colors have varied from cardinal to maroon, the committee advised the school board staff to use the band uniforms as the guide for the exact colors.